"Jen puts 110% of herself into every training session and she expects her clients to do the same. Her thoughtful, creative and always-changing training plans are tailored to help clients push their own limits and continuously improve. I particularly appreciate Jen's approach to good health - good nutrition, good exercise and good life balance! She is the best investment in you you'll ever make." "Jen is motivated to train and motivating of her clients to train to the best of their ability. She is up to date on the latest techniques for training and nutrition. She is genuinely concerned with her clients achieving their goals. Finally, Jen was a critical component to the successful rehab of a surgically repaired shoulder." "I worked with Jen for about a year and a half. She was my sanity, my coach and my inspiration. It wasn't about how small or tight I wanted to be, it was about getting me to feel good, and Jen delivered on it all!" 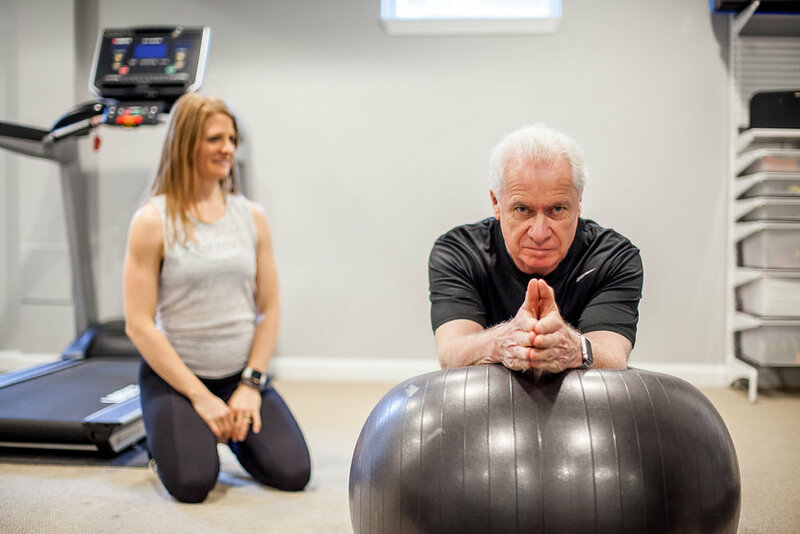 "Jennifer combines her medical and sports background with a practical, straightforward approach to health and exercise. She helped me to set up a realistic yet challenging program. After six months I am trim and fit and actually enjoy workouts. And I'm 74!" "JEN G. IS COMPLETELY AND TOTALLY AWESOME… There are no two ways about that. Why's she awesome? Well, if you're on this website, you’ve some health and fitness goals, right? When I started working with Jen, I did too. Bottom line, she was relentless in helping me achieve my goals… She adapted to my style, broke my goals down, held me accountable, and made it fun! I don't know why, but my only conclusion for why she’s so relentless, is that she is really passionate about health & fitness, and really, really cares about helping people be their best, healthiest selves. Whatever you're thinking about working with her on, don't hesitate to take the next step to reach out (do it now, it’ll only take a second!). At a minimum, she'll point you in the right direction. More likely, though, you’ll be celebrating your goal achievement way faster than you thought you could. Oh, and PS, she'll make it fun, too. She joined in my goal celebration, and we had a burpee party — 200 of them when we reached my goal. PPS, call or email Jen now :-)"
"Jen inspired me to work hard while always making our workouts fun and varied so they didn't get boring. She enabled me to stay fit and increase my strength through my second and third trimester of pregnancy and even had me safely doing dead lifts past my due date. I believe she helped me have a healthier pregnancy and easier delivery (especially when it came time to push!). I wholeheartedly recommend Jen for personal training - she is very knowledgeable and commits herself fully to her clients' success." "I was a workout-a-phobe until I met Jen. Her commitment to making me stronger and fitter made me face my own fears of working out. I was very unfit and completely out of shape when I started training with her but she patiently worked with me to make gym fun and motivated me to be stronger. I haven't felt this great in years and it is all because of Jen. By constantly rooting for my success, Jen has quite simply changed my life. 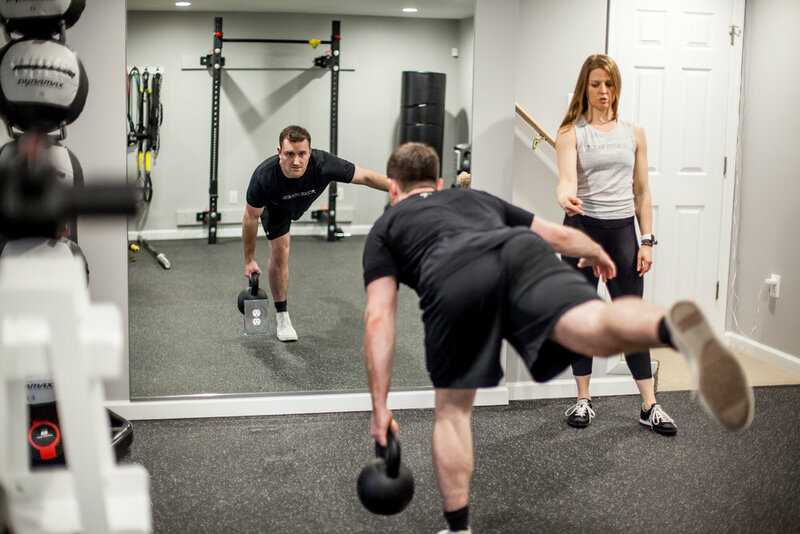 More than just a trainer, Jen is also a friend and a guide who I can reach out to with any fitness related query." "Jen is a fantastic, enthusiastic, and motivating power for fitness. With Jen, the 'tough' and the 'love' parts come in equal measure. She will push you harder than you've gone before, smiling sweetly when she asks - no, demands - just one more set of kettlebell swings. Jen has a lot more dedication and will power than I do, but thankfully it's infectious. She got me excited about working out in a way no previous trainer ever has, from pushing me to run a hilly 5k in the second trimester of my pregnancy to walking me around Wegmans proselytizing about the virtues of raw almond butter, avocados, and coconut oil. If you show up, Jen delivers. Her services don't stop when your session ends. She is constantly in contact with her clients, keeping them accountable and developing new training challenges." "I needed to improve my core strength and stamina as well as specific muscle groups affected by the G forces of racing (e.g., neck). Jen was tremendous at developing a personalized routine for me to focus on what I needed and totally dove into learning more about the requirements of my specific sport. Loved working with her and the progress was fantastic!" "Jennifer vastly improved my core muscles. I now can run, swim, scuba-dive 3 times a day, play full-court basketball and other sports, without worrying about my back or my knees, because my core muscles handle functions that used to be the work of my back and/or knees. That has also improved my posture and my stamina, something my wife has noticed and commented on. Jennifer designs a program for the individual, based on what that individual needs to improve – that’s why her clients do so well."